New York bear hunters took a total of 1,420 black bears during the 2017 hunting seasons. Hunters took an estimated 1,037 black bears in the Southern Zone, nearly the same as in 2016, but more than the recent five-year average. Bowhunters took 330 bears, on par with the recent average, but less than the 537 bears taken during the regular season. The early season, initiated in 2014 to reduce bear populations in the Catskill region, resulted in 150 bears. In the Northern Zone, hunters took an estimated 383 bears, about 25% fewer than 2016 and well below the historical average. 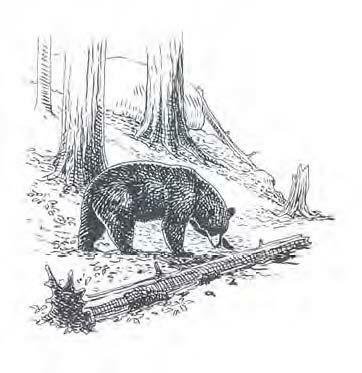 Bear take in the Northern Zone tends to alternate between strong harvests during the early season one year, followed by strong harvests during the regular season the next, based primarily on cycles of food availability. This year, the early season only accounted for 82 bears, similar to the early seasons of 2011 and 2013. However, hunters fared much better during the regular season, taking 242 bears. For more information, view the press release and the complete summary of the 2017 bear harvest. During the 2017 hunting seasons there were 19 hunting-related shooting incidents, similar to the five-year average. About three-quarters of incidents involved two parties, and the other one-quarter were self-inflicted. Of the two-party hunting-related shooting incidents, almost 80% of the victims were not wearing hunter orange. Incidents involving two or more individuals highlight the importance of identifying your target and what lies beyond. Hunting is enjoyed by over 500,000 New Yorkers each year, and thanks to DEC staff and volunteer hunter education instructors, hunting safety statistics continue to improve. Though the number of hunters is declining in the state, the hunting incident rate (incidents per 100,000 hunters) is falling much faster. Since the 1960s, the number of hunters has declined about 20%, while the incident rate has plunged more than 70%. The current five-year average is 3.2 incidents per 100,000 hunters, compared to 19 per 100,000 in the 1960s. For more information, view the press release and the Hunter Education Program page. 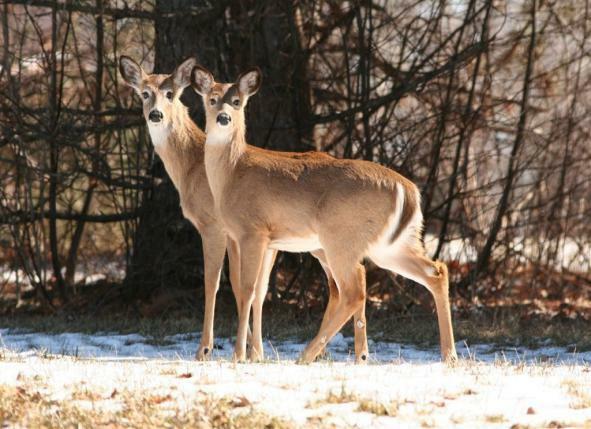 DEC and researchers at Cornell University are implementing a survey to gather citizens’ input to help DEC set deer population objectives for regions across the state. The survey is now being mailed to citizens in approximately one-third of the state, asking questions about their interests and concerns related to deer, how they would like to see the deer population in their area change over the next several years, and how important deer management issues are to them. Survey results, along with data on deer impacts on forest regeneration, will be used to guide deer population management decisions. The rest of NYS will be surveyed in 2019. For more information, view the press release and the DEC webpage on gathering public input on deer population size. It’s that time of year again - many of New York's resident coyotes are setting up dens for pups that will arrive this spring. Coyotes are well adapted to suburban and even some urban environments, but for the most part they will avoid contact with people. However, conflicts with people and pets may result as coyotes tend to be territorial around den sites during the spring through mid-summer period as they forage almost constantly to provide food for their young. Coyotes are found throughout the state and incidents with people or pets are rare, but it is important to be aware of the presence of coyotes so steps can be taken to reduce the chance that a negative interaction occurs. 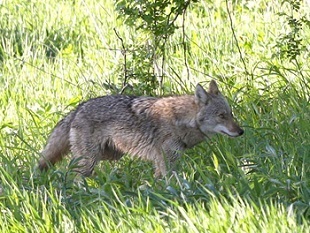 While coyotes that reside in suburban environments are tolerant of people, it is important to take steps to maintain coyotes’ natural wariness of people including removing sources of food, not allowing coyotes to approach people or pets, not letting pets roam freely, unsupervised, and contacting your local police department and DEC regional office for assistance if coyotes are exhibiting "bold" behaviors and have little or no fear of people. For more information, view the press release, visit the DEC Website or contact your Regional Wildlife Office.